Blue Line Ice Center Arena in Sheboygan, Wisconsin, looking to increase the quality of light in their ice arena upgrades its existing fluorescent high bays to a more visually appealing LED solution. The client was able to provide uniform light output with no glare and created an inviting environment while at the same time reducing energy usage and cutting down on maintenance costs. FSC Lighting’s LEHB LED High Bay was chosen to retrofit the fluorescent high bays; 32– 6 lamp fluorescent high bay fixtures and 17– 4 lamp high bays were retrofitted throughout the arena, at 25’ mounting heights. By retrofitting their existing fluorescents with FSC Lighting’s LED solution, this Sheboygan establishment will use 10,858 fewer kilowatt hours (kWh) per year with an annual savings of approximately $1,650. LEHB provides a 180,000 hour rated life and the ability to withstand the low temperatures of an ice rink in Wisconsin. In addition to a reduction in energy consumption, reduced heat output reduces HVAC costs. 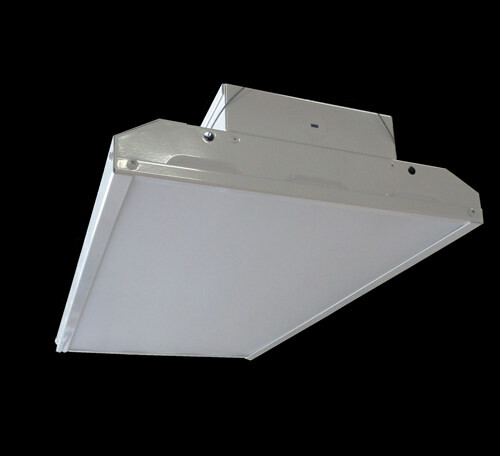 LED lights emit less heat than traditional lighting. That’s important when it comes to keeping ice frozen. 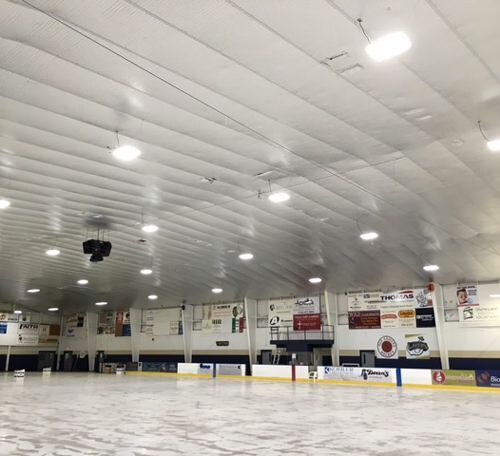 “The conversion to LED lighting in our Ice Arena was a great way to reduce our operational budget and decrease our carbon footprint all at the same time.” – Dr. Ted Di Stefano– SBLA Director of Building & Maintenance. FSC helped this ice rink cut operating costs, decrease their carbon footprint and enhance the skating experience by improving the quality of light and reducing glare.